An unexpected letter and an “Open” sign on a shop door trigger the adventures of Emily and Linda. They leave their hectic life in London for Blossom Creek, a remote village in Kent where weird Uncle Orville has his cottage. Although that ‘cottage’ turns out to be the abandoned headquarters of a detective agency. Well… it was abandoned actually. Until Emily turns the “Closed” sign over on the front door. Almost immediately, the first case of the would-be detectives knocks on the door, and they end up solving a mystery with a team of the most unlikely assistants. 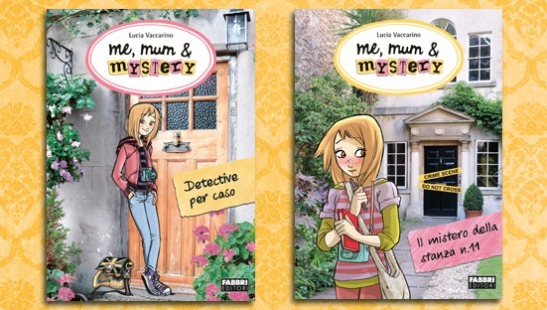 A modern mom and daughter in a very special relationship marked by their passion for mystery!